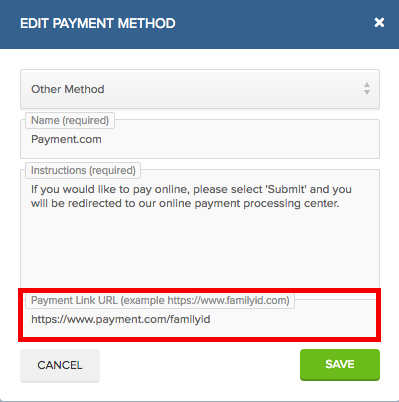 You can now link any online payment processor to FamilyID by adding the URL to your payment method. 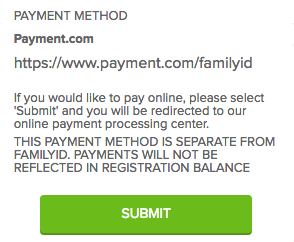 Registrants will be directed to your payment link as soon as they have submitted their registration on FamilyID. Log-in to your FamilyID Organization account and click on PROGRAMS. 2. Click 'EDIT' next to the program you would like to add an online payment link to. 3. Select tab #6 "Payment" after editing, creating, or cloning a program. 4. For an existing payment method, select 'EDIT' next to the payment method you would like to add a link to. 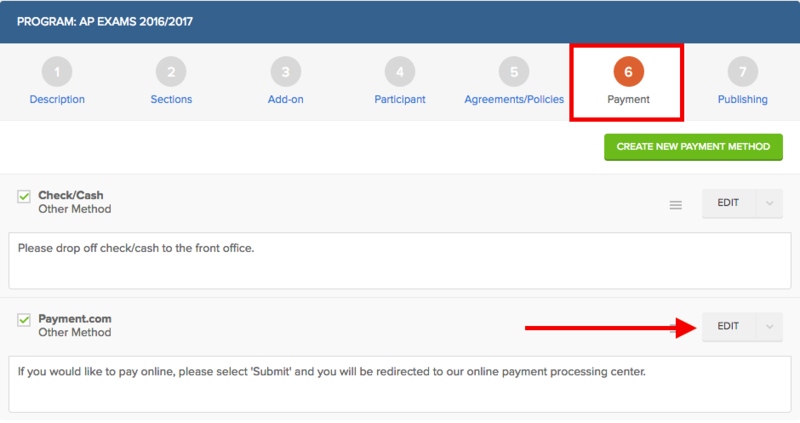 For a new payment method, click on the 'Create New Payment Method' button. 5. Select 'Other Method' from the dropdown menu. Enter the payment name, instructions, and your payment link URL. Click 'SAVE' when you have entered all necessary information. 6. Make certain the payment method is checked off and select 'Save' or 'Save & Continue.' This will now be added to your program. 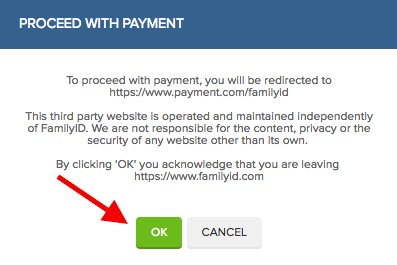 As soon as they select 'OK', they will be redirected to the online payment site you have linked to.